Fihing online with the pros, two. On February 12th, I am teaching 4th grade fishing classes from 8:30 am to 10:00 am for kids in the Washington Elementary School in Owatonna. I want to show them how to access information on fishing from the internet and visit FishingMinnesota.com. It is my hope to influence these kids as to consider fishing as a hobby, sport, and for a family activity. The last time I did this there was a huge interest expressed by the principal and staff at the Wilson Elementary School to have me return again with a simular program this year. The information and photos shared between the Wilson kids and our FM family & pros was impressive and very much fun! I hope to have that same atmosphere here next Thursday as we do this for the Washington School. I am asking the host of Owatonna Today, Todd Hale, to film the kids responding to the lesson and interaction. It is my hope to air the footage on an up coming episode of Owatonna Today's Monthly Fishing TV Show (which I co-host). This will allow the kids to see themselves on TV as well as other kids/schools in the Owatonna cable tv area. Who of you will be able to participate? If you can, please post a photo of yourself here and consider also a brief "bio" about the kind of fishing you do... so the kids can direct speicific questions to you. It should be great fun! I should be able to help you out again. Last time was alot of fun. Maybe Rick can take my picture off the old thread and post it here. I can then edit it and add the information. I'm looking forward it. If I don't work you can count me in! Its good to see things like this taking place. I am sure the kids will love it! I am having some trouble with the computer. I hope Dell can straighten things out before tomorrow. If I'm not here I apologize. Thanks for helping out. Look for us to start out here between 8:30am & 9am. Brittany J: What is the best walleye bait? All depends on the time of year and body of water! On the Mississippi in SPring I like to use Night crawlers and leeches!!! Hi Guys, I think the best Walleye bait can change day to day. The most consitant for me thru the year is a jig and minnow. 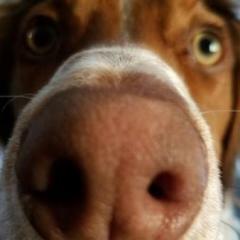 Dan K. : What do you think about new underwater cameras? Will it change the way we fish? Claire K.: What's the best lake for all around fishing in Minnesota? Jesse C. : What is the state record for Northern? Weight and length? Jordan P. : What is the best bait for Largemouth bass? underwater cameras will for surely change the way we fish. Just like how depth finders have changed the way we fish. Now instead of guessing what the fish are doing, or even if there are fish down there, we can see first hand exactly what is down there and how the fish are reacting to the lures. Many Pro tournament series restrict the use of underwater cameras just for this reason. It takes a lot of the quess work out of the equation. The record MN Pike was 45.12# caught in 1929 in Basswood lake. I daont know how long it was but it was huge!! I love to use those fire tiger artificial baits. But color can all depend on the mood of the fish, time of the year, and how clear the water is, and overcast or sunny. My typical colors are the fire tiger, red,yellow, and blue/silver when it comes to artificial minnows and plastics. Brittany : What is the hard part about fishing as a pro? Rachel W. : Where would you go fishing with a pro? best lake for all around fishing? I would have to say any lake But for multiple species, I would say the lakes around the detroit lakes, brainerd area. I would say the best colors are the more natural colors- the greens,pumpkins,whites. These are the colors I use most and have the best luck with. Best largemouth bait? Right now for me it is the Senko- it is an excellent bait for kids to use. Dan K I'm not a pro but part of fishing is sometimes eating fish, so I guess they sometimes keep fish they don't release. When I go fishing with a pro I pick a lake that I want to learn about and then find a pro that fishes that lake. He can always teach me new trick. Devin B. : What is the best habitat for NORTHEREN'S ? 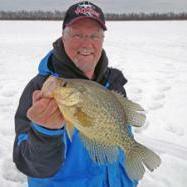 Alex W. : What is the most common fish caught on Mn. lakes? BRITTANY J. : Which is better to catch fish, ice fishing or open water? Which is easier? Jordan: what is the best NORTHERN bait. For Largemouth Bass it really depends on the time of year and structure. I like to use top water baits such as plastic frogs in thick weeds. In deeper water I like to use tubes. A spinnerbait is always a good lure and it allows you to cover a lot of water. NOrthern Pike are very prolific fish! They can be found in a variety of rivers, lakes and resivoirs. Even some small streams hold NOrtherns. Trophy Northern Pike waters usually will have deep basins with a large quantity and variety of forage(food)! One of my favorite Northern baitsa(in winter) is either dead smelt or ciscoes, fished below a "tip-up"! I think the most common fish caught is small perch. I don't think I ever taken my kids fishing anywhere that they couldn't catch some Perch off the dock. Thanks kids this is fun but I have to go back to work. You can ask Questions here anytime and someone usually has an answer. That is one thing that makes FishingMN great!! Dustin What's the best fishing place you have ever been to? is the best live bait? Cassy What's the best place for bullhead fishing? 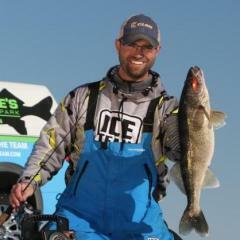 Tyler What is the best place for Walleye? Best Bull head fishing is right in the park in Faribault, below the dam!!! Best walleye lake there are quite a few. Best fishing place? All depends on what you want to try catching..I guess. Canada has many miles and acres of un touched fishing or lightly pressured fishing, making for excellent year round fishing. However, Right in SE MN you can find some of the best Trout fishing in the country! !